Food is big business, but, for the countries where production is limited, it is more useful as an appetizer than the main economic course. 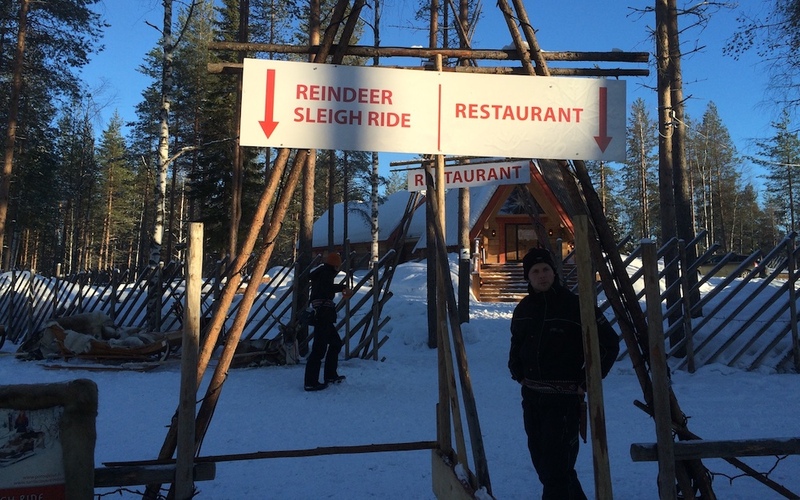 Finland wants to have its reindeer and sell them, too. Among the Arctic cognoscenti, all eyes this week will be focused on Tromsø, Norway, where Arctic Frontiers, one of the big four of the Arctic conference circuit, is being held (see below). Those who know a lot about some other field, and a little about a lot more, are more likely to be following what is happening at the World Economic Forum’s annual meeting, in Davos, Switzerland (also detailed below). For most others, whether they are aware of it or not, the proceedings at Berlin’s Grüne Woche, an international farming and gardening exposition, will have the biggest impact, in part because they will go a long way towards influencing not just what we eat, but also, the travel industry hopes, where we eat it. Being held for the 84th time since its founding 93 years ago, the week-long Grüne Woche, which began on January 18, is expected to draw 400,000 people before it closes on Sunday. There, they will meet the representatives of food producers from 60 countries. The public sector is also heavily represented; the organizers expect official representation from 80 countries. That number, however, is just a fraction of the 237 countries that export food products, according to World Integrated Trade Solution, a U.N. database. (By comparison, the U.N. itself has 193 members.) That is a huge number, but eating is an activity we all must do, and it is worth $600 billion each year in exports alone. Germans eat 7.73 percent of that amount, putting them a close second to the U.S. as the world’s largest importer. So, for those in Berlin this week to sell something, there are huge gains to be made. For many of those exhibiting, the pitch still boils down to “you are what you eat,” but to add the extra flavor they need to help them stand out in a crowded field, producers are increasingly turning to another adage: location, location, location. Take, Finland. Known neither for its agricultural output nor the delectability of its cuisine (in fact, Jacques Chirac, a former French president, once called it the worst in Europe — though foodies have come to its defense), nevertheless, it is Grüne Woche’s partner country. Critics would see the sponsorship as proof-positive that Finnish food needs all the help it can get. Promoting individual dishes is not the main point; they remain an acquired taste. Instead, the aim for exporters is mainly to use Grüne Woche as an opportunity to promote certain qualities of the food ingredients the country produces, marketing them as pure, or, in some cases, harvested wild. If this approach food goes down well in Berlin, there are big financial gains to be had. Germany is Finland’s largest export market, and in an economy that big, there is plenty of room for Finnish oats or reindeer from Lapland. But food and similar products are no Nokia; they make up only 1.6 percent of total exports, so even a big increase would hardly show up in the overall economic picture. More lucrative then is to use food not as an export item, but as bait to lure travellers. Food producers sell sustenance, but, in the tourism economy, their products, as much as anything else, help a locality and establish itself as a destination. That is perhaps why Finland will have six of its 19 regions represented in Berlin this week. Finnish Lapland, whose food producers market their goods using the collective Lapland Food Club label, will also take part. Norway, too, has big plans for Grüne Woche. Led by Bård Hoksrud, the food and agriculture minister, the Norwegian delegation will be in Berlin to convince Germans that its food is worth travelling for. While there, they will be able to sing the praises of things like skrei, a highly sought after type of Arctic cod that is in season right now, or reindeer meat produced by Sámi herders. And even though brunnost, Norway’s iconic brownish cheese, rarely goes down well with foreigners, the Lofoten Islands produce varieties of cheese that are often ranked as some of the world’s best. All of these foods are found in small quantities, though. That is a part of their charm, but it also limits their export potential. So, much like the Finns, the Norwegians’ best bet in Berlin will be not to try to sell their food based on how it tastes, but on the taste it leaves in people’s mouths. The Arctic, or ‘the High North’, as it is known locally, is Norway’s most important foreign-policy area, touching on not just foreign affairs, but also things like commerce, defense, research and fisheries. That being the case, the region’s big events often include the participation of cabinet members or other high-level officials. This is especially true when the action takes place on Norway’s home turf. 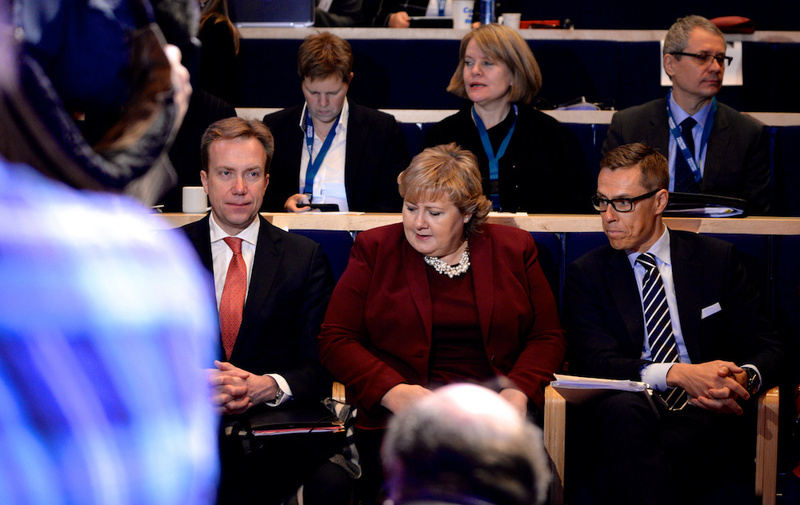 Arctic Frontiers, a week-long conference that starts today in Tromsø, is generally attended by the foreign minister at a minimum, but the prime minister is no stranger to the program. This year, she and six of the 17 members of the cabinet will be on hand. (A seventh, see above, will be taking care of other business that relates to the region.) This, say organizers, underscores that the Arctic becoming ever more important to Oslo. Of particular note will be a session on Tuesday, when Ine Eriksen Søreide, the foreign minister, attends a session that will discuss the next multi-year High North strategy working its way through the national assembly. The discussion, however, will be in Norwegian only. All foreign politics, it would seem, are local, too. Also this week, in Davos, Switzerland, scientists will — for the third year running — seek to lay out some of the main Arctic-related issues to those attending the annual meeting of the World Economic Forum, a non-profit group that pushes for action on the world’s pressing challenges. Representing just one issue seeking attention among many, the organizers of the Arctic Base Camp, which uses an Arctic expedition tent as its venue, face a two-fold challenge: simplify the message enough to be understood by a non-specialist audience, yet be engaging and relevant enough to allow it to compete with vast number of other events going on during the four-day gathering. This year’s main theme boils it down to the basics, by asking why bother about the Arctic in the first place. A second, dealing with plastic pollution, seeks to show that the Arctic and its ocean are a part of a larger system. That what happens in the Arctic doesn’t stay there is an old trope, but it has served spread awareness of the consequences global warming has on the region. Wheeling it out here reminds those at Davos of that, while also setting them up for some punny finger wagging, because what happens outside the Arctic doesn’t stay outside the Arctic.